Where graffiti ends, art begins. This unambiguous classification has been dominating the societal opinion for decades. Maybe it is because for the outstanding observer graffiti just not has developed. But maybe it is because he has been aware of it, but has never really seen it. Therewith graffiti would be the first art form that would not have outgrown his embryonic status within 25 years. In 6 essays and with the help of a 70 min. 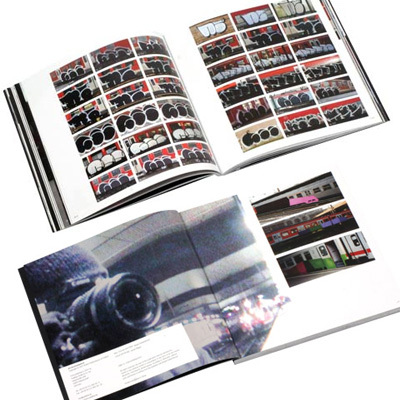 DVD documentary the book “ART INCONSEQUENCE – ADVANCED VANDALISM” documents the contemporary appearance of an art form, which started off as a phenomenon and which found itself pigeonholed by society before it could even found itself. It might was that prejudice which allowed a group of graffiti writers to develop as anarchic and as uncompromising as this art form once began. With no consideration for adepts and investors something could evolve which cannot be tangible to the outstanding observer as he is only confronted with components of a group of works. The more graffiti has been pushed aside, and the more it has set its own rules and has submitted to them, the more some encouraged writers have been willing to depart from the normal appearance of a graffiti without renouncing the freedoms which illegality offers. 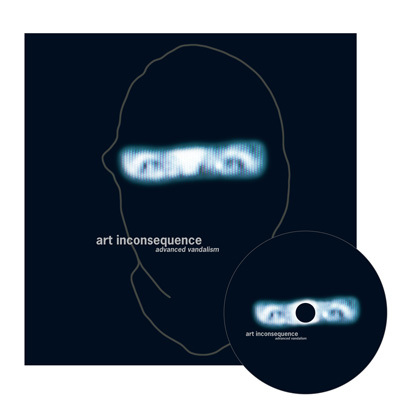 “ART INCONSEQUENCE – ADVANCED VANDALISM” (ISBN: 978-3-939566-04-5) offers 144 pages of square format filled with unseen impressions of a radical art form between beauty and absurdity. Essays (in German and English) of Robert Kaltenhäuser, Hans Winkler & Carlo McCormick, Peter Michalski, Bernhard Uske, and Pia Pada open the door to a world which until was closed the reader. 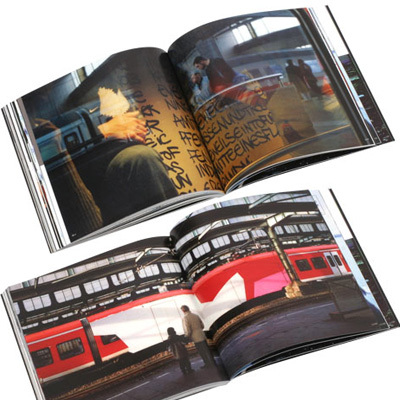 A book and a DVD which invite to interpret signs and wonders, to find the beauty in the non-wanted and to clean up the thinking that behind this art which has always been labelled as vandalism there is neither content nor interrelation.